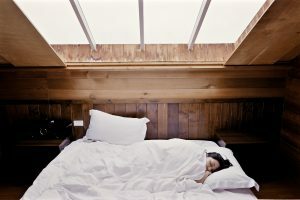 Rest up with overnight care! Odds are, it’s a little more than you think you need. And it’s a lot more than you’re getting. Recent research states that getting just six hours of sleep per night can, over time, be as bad as not getting any sleep at all. So what’s a caregiver to do? When you’re responsible for another human life overnight, you can’t just decide to get more sleep. You’re stuck between a rock and a hard place, getting more desperate with every busy, sleepless night. Daily exercise can help increase your ability to sleep. 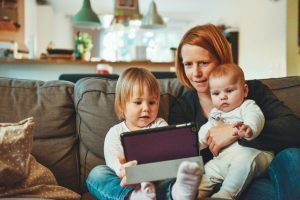 In addition, it’s great at reducing depression, which can sneak up on unsuspecting caregivers who are deprived of sleep and overburdened with work. Try not to work out too close to bedtime, as that can get your body too amped to sleep. A regular bedtime routine can remind your body that it’s time to settle down for the night. Consistent, calming activities such as knitting, reading a book or taking a bath can — especially when done at the same time every night — be a massive help in preparing your body for downtime. Equally as important is getting up at a consistent time, too. As much as possible, your room should be cool, dark and quiet. Not only will that help your body settle down for sleep, but it’ll prevent unnecessary waking during the night. Cutting down on late-day meals or drinks laden with sugar or caffeine also can help. Ideally, you should be neither full nor hungry when you go to bed. And the less you drink right before bed, the less likely you’ll need to get up at night. But sometimes there just isn’t time in the day to find exercise or consistent, quality downtime for your body. In situations like this, you have to be proactive and make time. 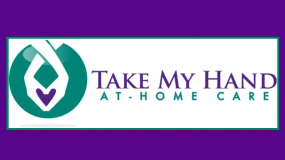 This is where Take My Hand At Home Care can be a huge help. We offer eight-hour, overnight respite shifts so that you can sleep while we care for your loved one. Does your mom wander at night? No problem, we can handle it. Does your spouse need frequent help at night going to the bathroom or taking medication? Don’t worry, we can take care of it. Just give us a call, and we’ll chat about what you need and what Take My Hand can do to help you out. Hiring an overnight caregiver, even two or three times per week, can help you catch up on sleep so you’re rested and recharged for the day’s activities.